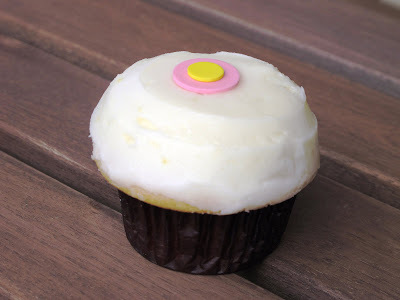 The Granola Chronicles: Free Cupcake! - I scored tickets to Green Festival and met Healthy Ashley! Hi, friends! Hope your Monday is going well. 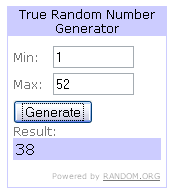 I'm going to announce the giveaway winner, but first...something VERY exciting! I saw this tweet earlier today and thought, "why not?" I've seen this type of tweet numerous times but never took advantage of its offerings. On my way home from work this afternoon, I gave it a go. Ask (whisper, actually!) and you shall receive. Yes, yes. 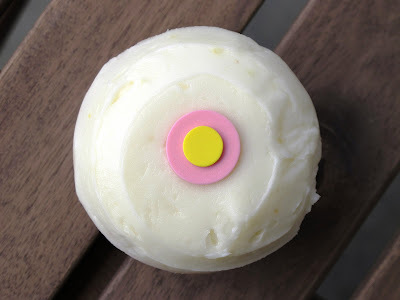 Yours truly walked away from Sprinkles without dropping $3.50 on a cupcake. It was free! I thought it was going to be a smaller version, but to my surprise it was the normal (gigantic!) size. What a wonderful way to start the week! Ok - time to announce the winner of the sweet organic package from Stonyfield. Congrats, Alissa! Send me an email with your mailing address, and I'll forward your information on to Stonyfield - granolachronicles@gmail.com - thanks! 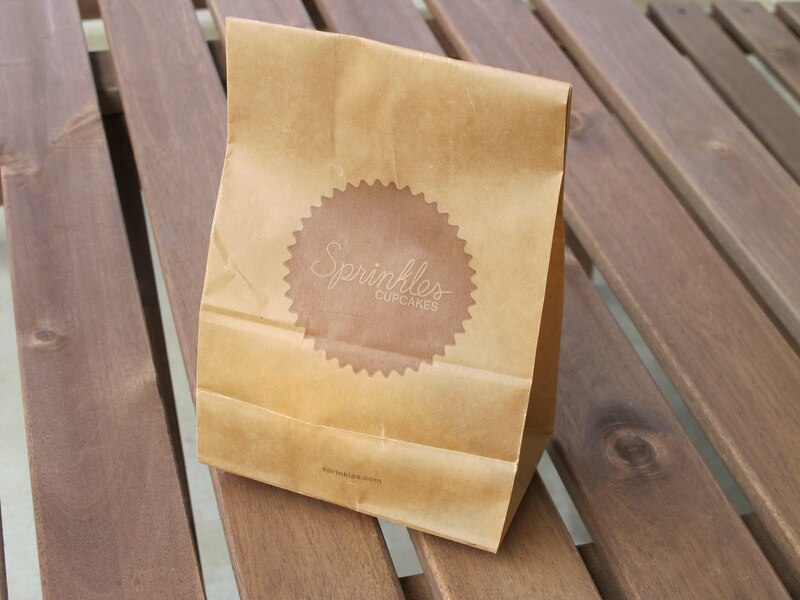 Have you given in to the cupcake craze that has taken over America? Or do you stay away from those little treats of heaven? I have a hard time shelling out money for something I could make at home for half the price - but every once in a while, I'll splurge.